Step One – Who is going? • You can reserve a permit or trip with just 1 or 2 people & add others at a later date. 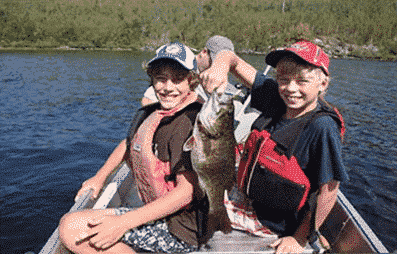 • A BW CA trip is a perfect trip for families, couples, friends, anglers, church groups, youth groups, Boy Scouts, Girl Scouts, school groups and more. • The most important date is the entry date. This date can’t be changed without cancelling and re-booking. • The exit date is estimated allowing you to change the length of the trip as long as the entry date remains the same. • Mid-May through mid July tend to be the best all around fishing. 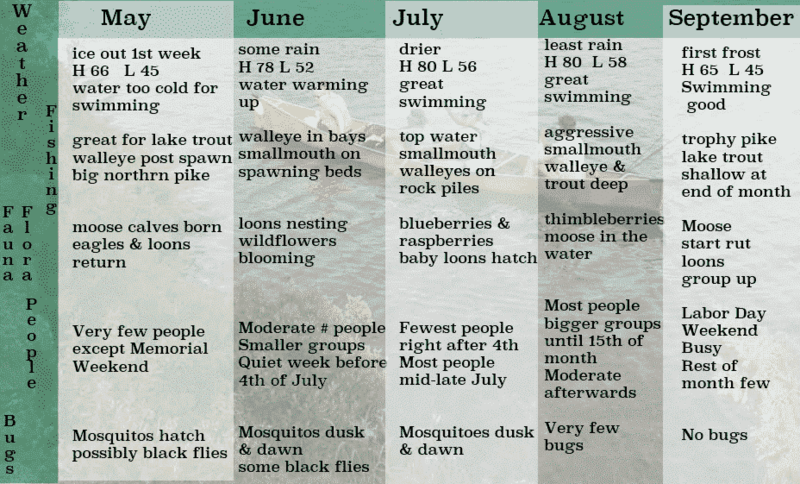 • July & August are great for beginners & families because the weather is warm. There are fewer bugs but it tends to be busier than May, June and September. • You can decide & change your route when you are out in the woods but you must begin your trip at the entry point and date stated on your permit. • Think about how much time you want to spend paddling & portaging each day & if you want to travel every day. • Decide what kind of trip you want. Do you want to cover alot of miles or set up a base camp & take day trips? • If you want to fish then don’t plan to travel every day. Make sure the species you want to fish are in the lakes you are planning to camp on. • Generally the more portages you do the fewer people you see. • We recommend the Standard Expedition package for a number of circumstances. If it’s your first trip, if you don’t have your own equipment, if you’re traveling by airplane or if you’re in charge of a group. • Partial outfitting is the way to go if you have your own equipment. You can rent as much or as little gear as you need. • We recommend spending the night before your entry date in a bunkhouse at Voyageur. The next morning you can get an early start on your trip. • We suggest a tow boat ride for any Quetico Park trip and for most trips beginning on Saganaga. It’s a great way to get into the wilderness faster & farther. • We will send you a confirmation email with the details of your services booked with us. • The USFS will send you a confirmation letter if you are visiting the BWCA. This is only a letter and we will print your actual permit upon your arrival. Do not worry if the length of the trip or number of people is incorrect. Do make sure the entry date and entry point are correct. • If you are traveling to the Quetico Park or Crownland of Canada then be sure you have your RABC permit. You may’ purchase your Ontario Outdoors Card & License online. • We will email you a trip preparation packet prior to your trip. 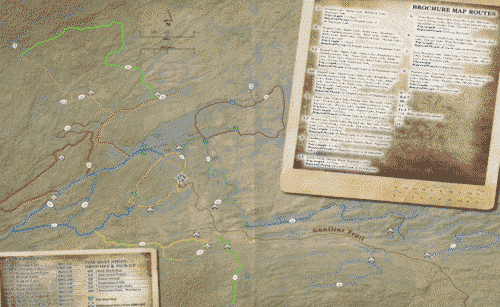 It contains helpful wilderness travel information. • Please bring your Social Security # if you will be purchasing a MN Fishing License. We can’t issue a license without it. We have a route planner tool on our website as well as maps and descriptions of a number of trips in both the Boundary Waters Canoe Area Wilderness and the Quetico Provincial Park. We also have all of the maps and can mail you Fisher or McKenzie maps if you’d like. We would love to be a part of your wilderness adventure! To download a PDF version of the planner Click Here. Mike, Sue and the Voyageur Crew!